The Managers and Knowledge: Ruben Coronado and Tatiana Zuniga. After having worked in office as Counter in many Travel agencies in Cusco and later as a Tour Guide for variety of travel agencies, Ruben and Tatiana decided to make use of their experience and knowledge he and his wife decide to open their own travel agency in Cusco in order to provide job opportunities to many young people and many people with fewer resources from small communities living over at 4500 meters above sea level.. Our team visits and thoroughly investigates all destinations, services and amenities featured on our luxury tours to Peru so we can be sure we are offering the best quality, services and price for our clients. 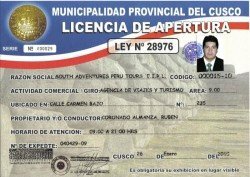 Our company offer extended trips in Peru with carefully and personalized service with English speaking guides, full equipped transports, good and responsible drivers. Our company also provide to our travelers a big bottle of Oxygen, and Medical kit to avoid the altitude sickness especially for Cusco (3,399 m.a.s.l / 11,152 ft.), and Puno (3,810 m.a.s.l / 12,500ft) Chivay in Colca (3,630 m.a.s.l / 11,910ft), and Arequipa (2,328 meters / 7,738ft) South Adventure Peru Tours – Cusco work with professional and outstanding staff who give their entire time to attend our customers. We offer several LUXURY tours around Peru such as: City tour in Lima, Tour to Paracas, and Tour to Nazca, Ica Huacachina Sandboarding. Our mission is basically to satisfy to our clients, every time , throughout outstanding, personalized service preserving at all the ECO SYSTEM and ENVIROMENT around us as well as giving the opportunity to the local people in each community that we go to work with us in a coordinated way, our commitment is to exceed our clients expectation . Custom Itinerary and Luxury travel: We tailor your adventure to fit your travel style, time frame, budget, and interests! From different styles of lodging to your favorite adventure activities, we will create the best synergistic itinerary for you. The level of service you receive and experience you have is of the utmost importance to us. We cultivate and maintain excellent relationship with top South American guides, hotels and restaurants to ensure the best for our clients. 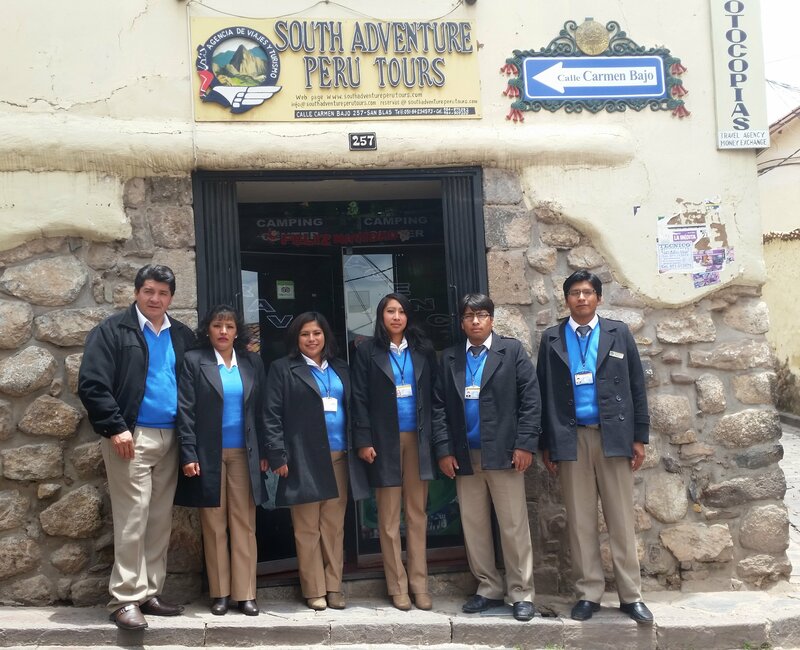 With headquarters in Cusco (Local company) we partnership with the best tour operators in others parts of Peru such as: Lima, Paracas , Ica , Nazca , Arequipa ,Puno and other areas so that you can rest assured that wherever you travel with us , you`ll receive the same quality of service. South Adventure Peru Tours & Originality Come from mind of Ruben`s designed basically for all our travelers who are planning to travel to South America ( Peru ) in order to show the most of richest areas that we have in our beautiful country, such as Sierra ( High land ) Selva ( Jungle ) and Coast so we reflect our philosophy perfectly . 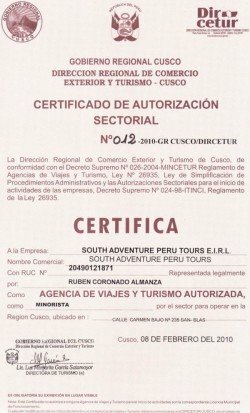 Our team is strongly committed to this principle and is always looking for new finds to share with our clients during their luxury tours in Peru… At South Adventure Peru Tours – Cusco, we don`t rest on our laurels. We are constantly trying to discover new and special experiences that can make our customized tours to Peru which is truly on of a kind. 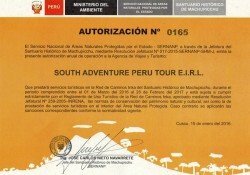 How to tailor your trip in Peru? 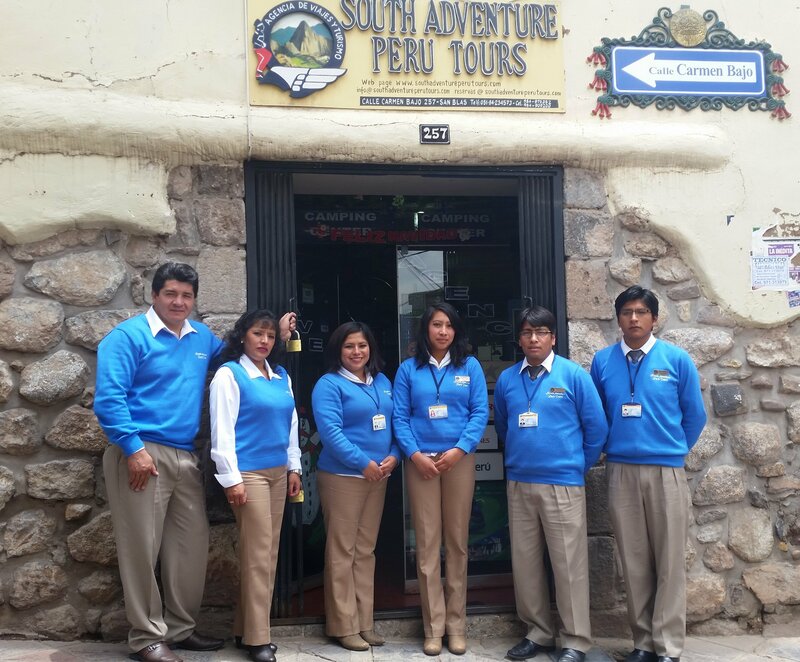 Once you get in touch with South Adventure Peru Tours, we will first want to know where you want to go. How you would like to travel? Your time frame? Budget? Airline needs? Family trip? Friends? Who`s coming with you? Health and diet consideration, Nationalities, ages & Gender so after having all of this useful information, we will have to organize the trip according to your plan. 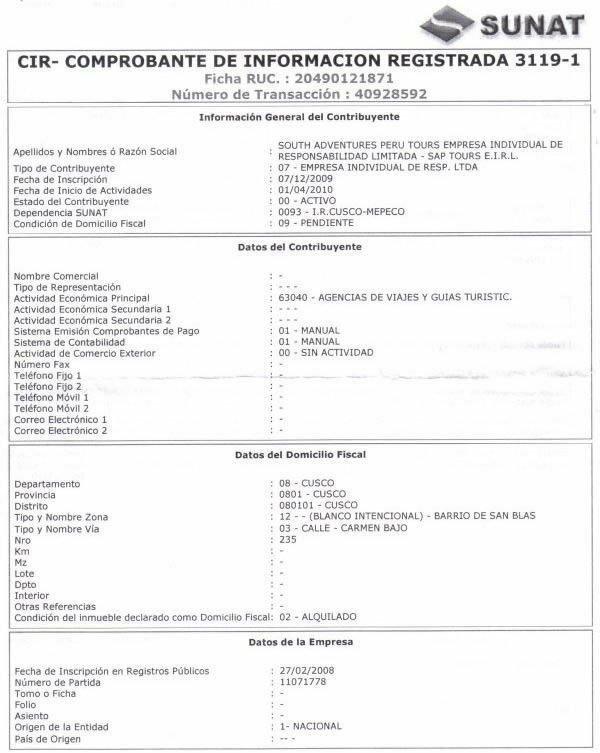 Confirmation of trip & Deposit payment: Once you confirm us the final of approval booking, we`ll begin confirming first the hotels, train tickets, Entrance to the sanctuary of Machu Picchu (every booking is subject to space availability even the hotels and train tickets) and then , we will be in touch with you to confirm that everything is set up . 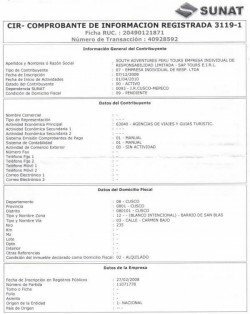 At this point, we will require a deposit of 35% of the total amount and the rest; you will pay once you arrive to Cusco. 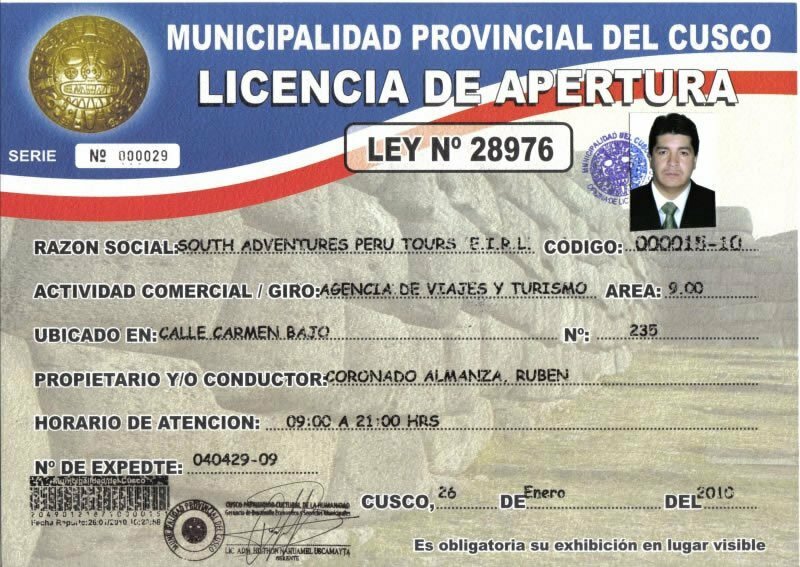 After receive your deposit, we`ll continue with arraying your personalized service trip to Peru. Your arrival to Peru & Unforgettable experience of Journey: This is the great opportunity when you see just why South Adventure Peru Tours have got a reputation as the best tour operator in Peru; you will be met at the airport of bus terminal by our representative holding a small board written your names who will take you first to office or Hotel where he/she will provide further information about your entire trip. Back HOME: Part of our team will insure your transfer out to the airport for the next day; he/she will make the best for your return home without any inconvenience… In order to make your check in very fast and do NOT spend too much time at the front desk of the airport South Adventure team , night before will print the boarding passes but you must provide us the flight details in our office . 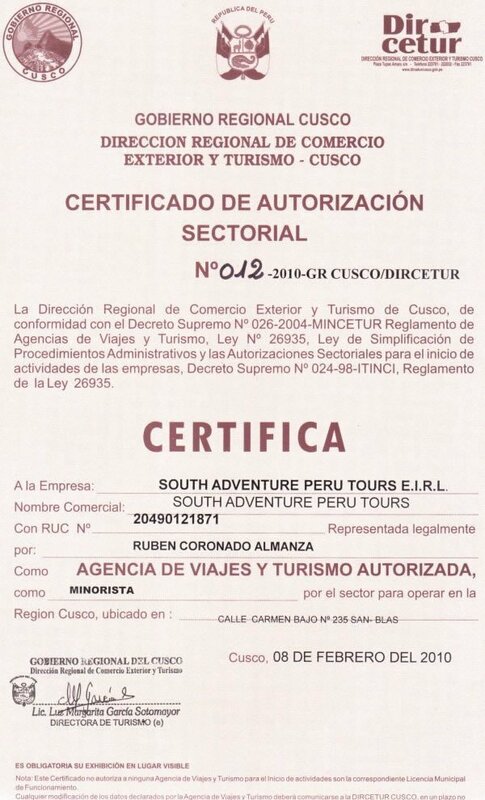 South Adventure Peru tours & Sustainable tourism (Cultural responsible) Our company also safe the 10% of the total amount that you paid for your tours to we use for our community project, our company works with a group of indigenous people of the Valley of Lares where Ruben`s come from (Owner).We are completely confident that with your help, the dreams of this Andean people, their dreams will come true!! We believe that tourism in South America is very important not only do we treat the cultures we visit with humility and reverence , but we also strive to create a two-way dialogue that`s enriching for both visitors and locals through sustainable tourism practices. During this last 9 years, we provide them many gifts for Christmas and new year, school supplies before start the classes in every school and finally this 4 of December, we are bringing more than 50 kids to Machu Picchu as first time due that they do not have idea about this wonder of the world however, our company is paying for train tickets, entrances, food, transport, guides in Quechua language and finally, accommodation. We work very closely with local communities, businesses and individuals to develop sustainable tourism opportunities that help local economies while minimizing negative environmental and cultural impacts. 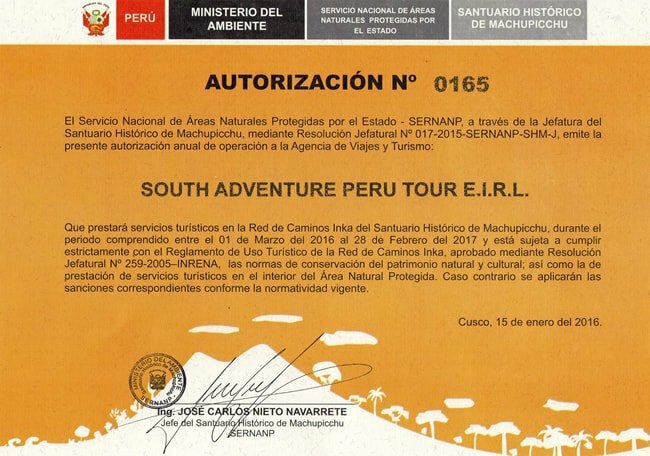 Part of South Adventure Peru Tours operating philosophy is to respect the communities, their people and their landscape in which we operate, we do this by acting in a manner that is environmentally, socially and economically responsible.